With the 2016 presidential election results having turned out to be the most bizarre and unlikely in our nation’s history, public sentiment has been growing by the day for a full recount in every close swing state. Hillary Clinton won the popular vote by more than two million votes, meaning that the Electoral College mathematical path which Donald Trump took to victory is so incredibly narrow as to be highly suspicious. Even as a crowdfunded effort is well underway to cover the costs of recounts in the close swing states of Wisconsin, Michigan, and Pennsylvania, it turns out Florida state law does not allow a losing candidate to request a recount. Only Florida’s Secretary of State can call for a recount, and we’re calling on him to do just that. The current Florida vote totals have Donald Trump ahead in Florida by just over 119,000 votes. In any ordinary year, that could be too considered large of a margin to warrant a recount. However, it represents just barely one percent of the vote, and there are numerous specific reasons to believe that Florida’s 2016 vote totals may be suspect. In addition to the final polling averages and predictive models which all pointed to a Hillary Clinton victory in the state, the early voting totals leaned so heavily in Clinton’s favor that it should have been all but mathematically impossible for Trump to have come back and won the state. And this is within the larger context of numerous mathematical unlikelihoods and irregularities around the nation in this election. In addition, Florida’s reputation in national elections has taken a beating over the past sixteen years due to numerous controversies which were never properly resolved, leaving voters in the state with little faith that their votes are being counted properly by their elected officials. Furthermore, the close relationships that Donald Trump currently enjoys with Florida Governor Rick Scott and Florida Attorney General Pam Bondi, both of whom endorsed him and both of whom have been widely rumored for positions in his cabinet, further casts doubt on the state government of Florida’s impartiality in the 2016 presidential election. And there is only one way to rectify the matter. 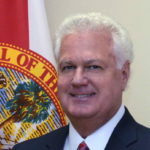 As such we’re calling on Florida’s Secretary of State, Ken Detzner, to hold a recount of his state’s voting tallies in the 2016 election under the authority which he holds as his state’s Chief of Elections. Detzner is a moderate Republican who has previously been a Democrat, and has shown himself to be a reasonable politician while in office. He inherited a Florida voting scandal not of his own making when he first took the job in 2012, and he received what may have been unfair criticism for it. By taking a cue from the 2016 recounts which are now likely to take place in other narrow swing states including Wisconsin, Michigan, Pennsylvania and elsewhere, Ken Detzner has an opportunity to make clear that he wants to get Florida’s 2016 election results right. He can be reached at [email protected] and 850.245.6524 (please be respectful in any communications). We’re calling on Secretary Detzner to order an immediate statewide recount in Florida, and we’ve launched this official petition for signatures.